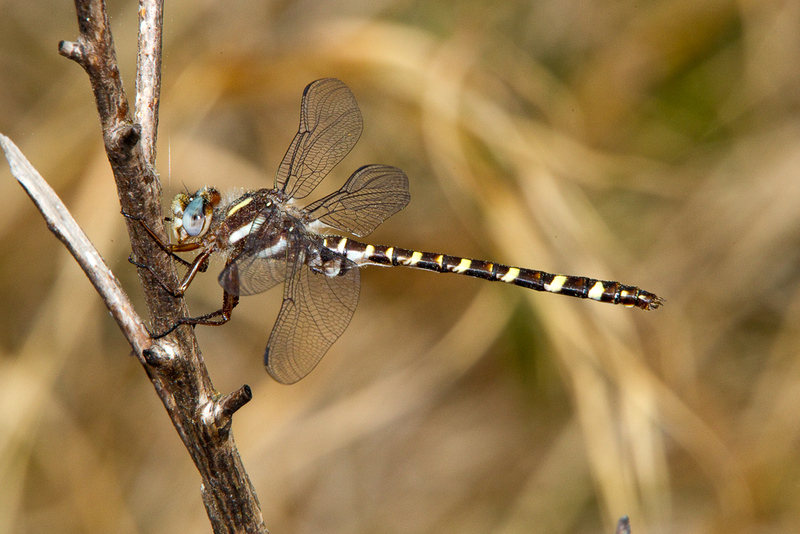 John Abbott is an entomologist that studies the systematics of Dragonflies and Damselflies! He has photographed and studied these amazing animals all over the world. The image to the left is the Sarracenia Spiketail (Cordulegaster sarracenia) a newly described species by John. He is currently studying the biology and population dynamics of it and the Texas Emarld (Somatochlora margarita), which are both found in southeast Texas and western Louisiana. Both species are in need of conservation efforts, which John’s work is supporting. John also has numerous citizen science initiatives like Odonata Central and Pond Watch and Migratory Dragonfly Partnership. John is working with several different organization from multiple countries to investigate dragonfly migration using citizen science! He has also authored a number of books on dragonflies. Kendra Abbott is an ecologist that studies carrion beetles specifically the environmental conditions required by the federally endangered American Burying Beetle (Nicrophorus americanus). 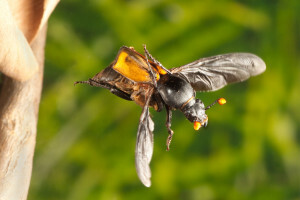 She is using a similar species, Nicrophorus carolinus (shown here), as a proxy for her research. Most of her work is done in North Texas where the endangered beetle can be found when conditions are right. This system is an amazing one, and the American Burying Beetle is often used in educational exhibits at zoos. Kendra also does invertebrate outreach, growing the public’s appreciation of insects and the important roles that they play in our everyday life. John and Kendra are working together on two book projects currently. They are redoing the Peterson Field Guide to North American Insects and writing a guide to the Common Insects of Texas.